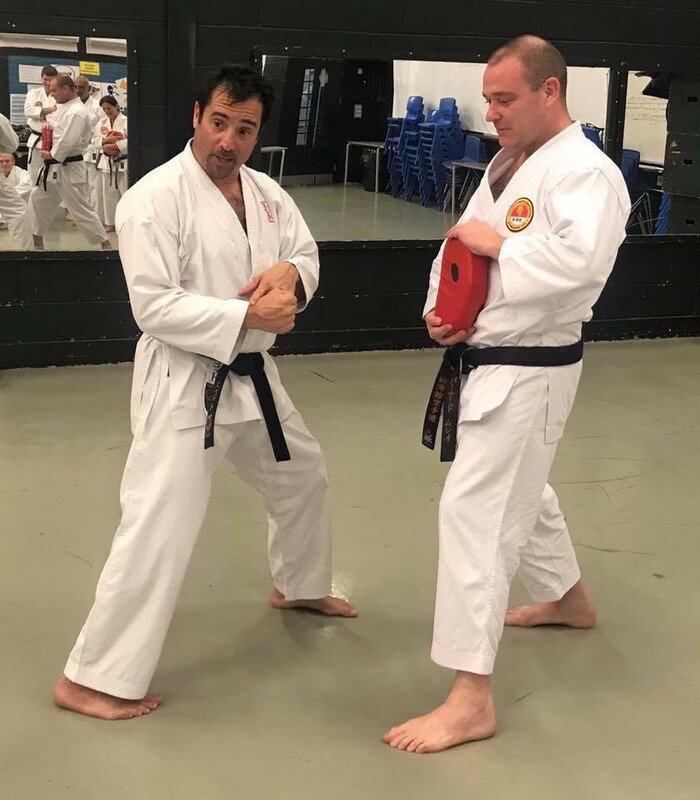 On Sunday 11 of November 2018, we had the pleasure of welcoming back Scott Sensei to the CKA following his visit in 2017, to hold another brilliant training course, made up of 2 successive, distinct sessions. 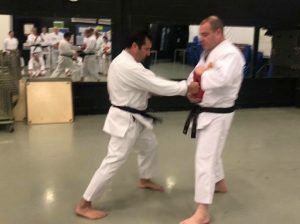 What a treat and such an opportunity to train with a karateka of such calibre! The first session was dedicated to Kihon (基本, きほん), mainly focusing on optimising the generation of power. By means of concrete examples and through the comparison of techniques such as Kizami Tsuki (刻み) and Gyaku Tsuki (逆突き), we looked at how a correct understanding of body mechanics was helpful in influencing power generation – e.g. 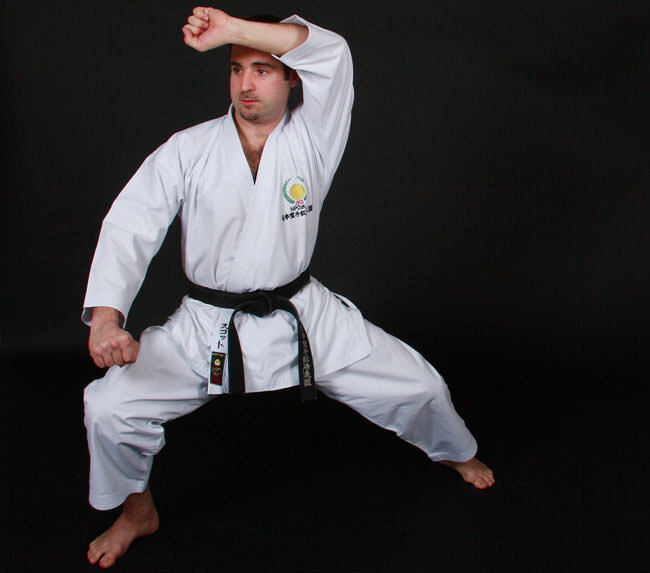 connecting the back leg to the hip, the hip to the shoulder, and the shoulder to the arm ; using your core ; using Kime (決め, decision point) – more effectively ; punching without over-extension ; utilising compression and expansion techniques ; realising the importance of muscle relaxation to maximise speed and power (“slow is smooth and smooth is fast”, Mitsuyo Maeda). Finally we also discussed the importance of relaxing the form whilst increasing the function of techniques, progressively moving away from stylised Shotokan (松濤館) basic techniques towards correct application (in other words, how do you strike the right balance between form and function). To summarise, a great insight in logical steps you should follow as you progress through your budo (武道) : “Shu-Ha-Ri” (守破離). A big thank you to Scott Sensei for officiating and Davenport Sensei for organising. Also thanks to Bernard for acting as the punching ball all day… Already looking forward to next year’s course and other forthcoming seminars in the near future. Watch this space !